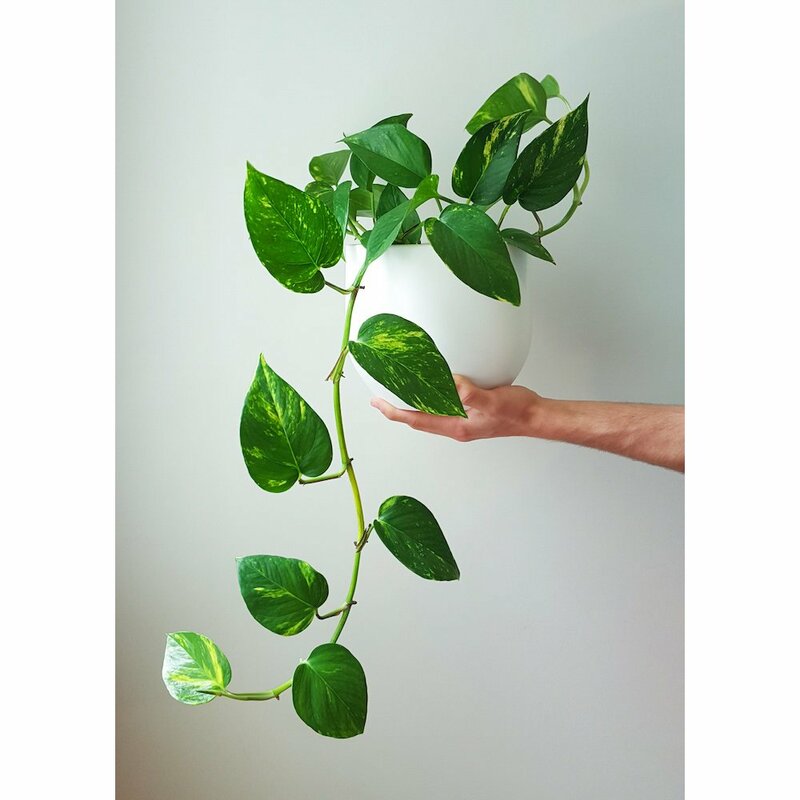 Pothos in our pure white pot is a great option if you’re looking for a lush trailing plant. Golden Pothos is a vine with green heart shaped leaves that are flecked with yellow. It is super easy to care for and fast growing. This is a plant with many names including Devil’s Ivy, Money Plant, Epipremnum Aureum and Scindapsus Aureau. 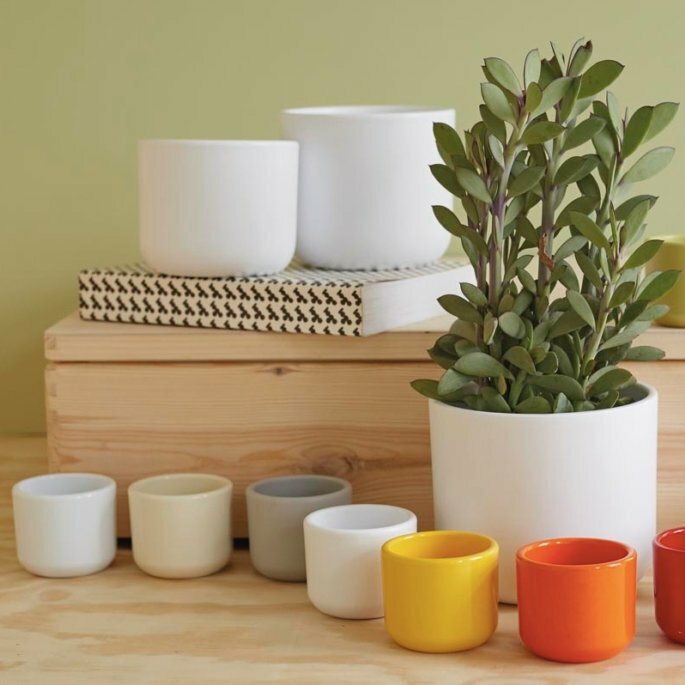 We’ve paired this vine with our ceramic Pure White Pot with a satin-matt finish (no drainage hole). Refer to the second photograph for the current pot shape which is more cylindrical than the main photograph. Vine trailing length is approximately 15cm shorter than photographed.